especially in South Australia with its record of energy security. 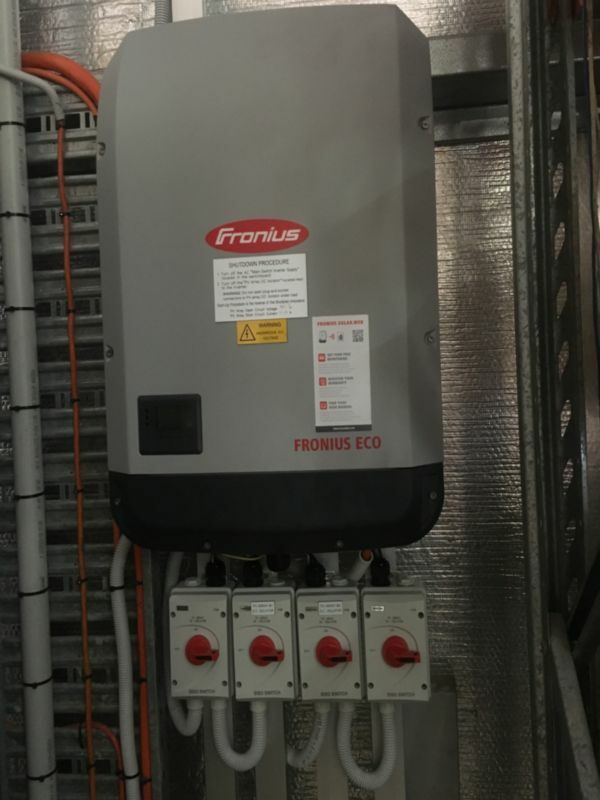 using Jinko panels and a Fronius inverter. We wanted to provide an environmentally friendly accommodation experience and that meant solar power - and a lot of it. With over 30 powered camp sites and 17 rooms and bell tents, we were using 145kWh per day. Our vision was to be totally off the grid within 5 years, and we are now well on the way to that goal. We hired LC Aerial to take drone videos of the whole installation process. Some of these can be watched below. Amount financed $35,000. Payments per month $750. Savings per quarter $2,000. Total benefit after 5 years $25,000. Total benefit after 10 years $130,000.